Then there's today's post. Oh man, am I frustrated! 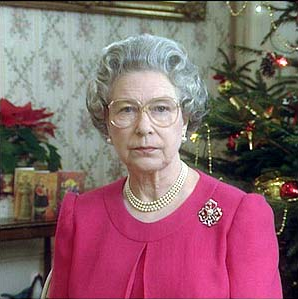 I was already almost half way through my own personal annus horribilis (with a nod to Queen Elizabeth who had hers in 1992). Then a plumbing pipe broke. The ensuing flood in our living room and downstairs has complicated my life enormously (as you can imagine), especially since I recently moved dozens of stored boxes to our basement. I had pictured going through those boxes at a leisurely pace, deciding what to save and what to recycle or repurpose. The insurance company (and the threat of mold) have created a frenetic pace at which I now have to go through all the wet boxes to see if there's anything worth salvaging. It's still hard to see the silver lining in this micro-catastrophe (I wasn't wishing for a new living room floor and I certainly didn't want to spend my birthday this way), but it's sure brought out the philosophical bent in my friends and me. After the flood, as I was tearfully bent over in the crawl space, heaving heavy wet boxes (and, mercifully, some still dry ones) into a dry area, I realized that African mothers of starving children might cry, but they just keep going. "Just keep going," I kept telling myself. "This is nothing – nothing – compared to their pain and their struggle." My friend Cory wrote: "Think of it as a cleanse! Our memories are in our hearts and minds – not really in boxes." An excellent reminder. And my pragmatic hubby implored, "Why be sentimental about the past? Be sentimental about the future." Ah, yes. The past is looked after. What I remember is what I remember (and it's mind-blowing how much I've discovered I'd forgotten). It's the future I should be focused on and concerned about. "Sentimental" is defined as "of or prompted by feelings of tenderness, sadness, or nostalgia." Well, since we're in the throes of making the future a thing of the past, it makes sense to feel nostalgic for the good old days when the future was bright and everything was possible. And a feeling of tenderness, too – for the children of all species. "First law of humanity – don’t kill your children." Indeed, wouldn't it be fascinating to find out if there's a positive correlation between cultures that focus on the past (for example, family trees, portraiture, scrapbooking, ancestor worship, storage lockers, history study in school) and their impacts on the future? Hmmmmm.